What's the difference between dog clippers with humans’ one? Getting a dog nail clipper is one good step towards taking good care of your canine friend. Cutting dog nails may sound like not as important as say, giving your pet homemade dog food. But the truth is that pet owners should be conscious of long dog nails. When left uncut, long dog nails could be torn. This won’t only cause tremendous pain to your pet but also infect her. The latter would require the administration of antibiotics or worse, a surgical removal which can cost you hundreds of dollars. Moreover, dogs with long nails won’t be able to walk properly. It can also strain her leg muscles. Long nails may also hurt dogs especially when they trip and fall. I’d like you to check out this article as it can give you more compelling reasons to cut your dog’s nails now. I bet you are now convinced that you need to give your dog a much-needed nail cutting. So how do you shop for one? Read on and find out even as I list down five of the best dog nail clippers today. 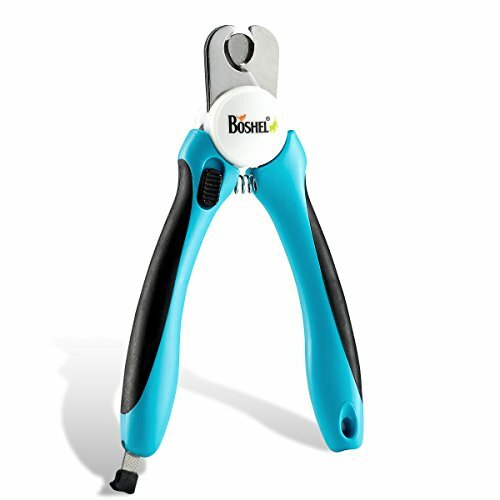 There are several things you need to consider when shopping for a dog nail clipper. First, you should decide on the type of dog nail clippers that best suit you. If you haven’t clipped your dog’s nail before, I suggest you get either a scissors-type or guillotine type of nail clipper. The scissors type simply looks like a pair of scissors. It is designed to precisely cut through a dog’s nail. The guillotine type, on the other hand, has a retractable blade which can be activated by a squeezable handle. It’s less gruesome than what its name suggests. The third type, the rotary sander, is best suited for pet owners who have experience in clipping their dog’s nails. It is slow and loud, which can irritate most dogs. To sharpen the clipper, you have to take the tool apart first. You can do so for clippers with a lever design by removing the lever first. Press the two parts of the clippers with pliers then separate the blades after removing the pin. You can now sharpen each of the blades using the tools I mentioned earlier. After sharpening the blades, put the clippers back together. I can’t blame you if you think that dog clippers are the same as the ones we use for clipping our nails. After all, some dog clippers really look like human nail clippers! But there is one stark difference between dog nail clippers and human nail clippers--- the former is designed to cut through thick dog nails. Its blades are sharper compared to nail clippers for humans. While it is possible to use nail clippers for puppies, I don’t think you can use it for adult dogs. Patented blade replacement technology - Replace your blade at a fraction of the cost of a new trimmer. This dog nail clipper has been getting a lot of raves online for its ergonomic design and heavy duty blade. It is a guillotine style clipper that’s best used by pet owners with some experience in grooming their dogs. You’ll love that this dog nail clipper’s blade is replaceable. The manufacturer has a simple blade replacement mechanism, so you don’t need to replace the unit in case the blade has lost its sharpness. Many users say the blade has no troubles cutting through thick nails. All you need to do is squeeze the end of the nail clippers to cut your dog’s nails. 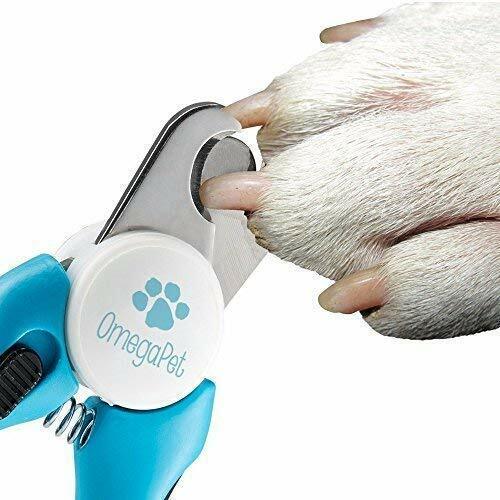 This dog nail clipper can be used even on large dogs. This dog nail clipper has been getting a lot of raves online for its ergonomic design, heavy duty blade, and user-friendly design. It has also been equipped with a safety stop blade that can lower the risks of cutting a dog’s nail too short and potentially injuring her. This nail clipper has a superior quality, 3.5 mm thick stainless steel sharp blades. Many users say the blade has no troubles cutting through thick nails. All you need to do is squeeze the end of the nail clippers to cut your dog’s nails. You won’t also have to struggle in using this nail clipper because of its user-friendly design. You can comfortably hold it with its easy grip and non-slip handles. It’s very likely you can easily cut your dog’s nails with this product. It also features a safety stop blade that also serves as a quick sensor, greatly reducing the risks of accidental cuts. There are several outstanding traits of this dog nail clipper. One is that it has an ergonomic handle. It is long enough for most people to hold it comfortably while they trim their dog’s nails. I also love that this clipper is made of sharp, stainless steel. It can easily cut through nails with little pressure. There is also a quick guide that lets you cut nails fast. This is very important because you want to cut dog nails very quickly. 2 IN 1: aux headphone jack Audio + charging adapter +call function） - It has 2 ports, one for charging and the other for audio. Charging and listening to music at the same time. compatibility: Suitable for 7/7Plus/ 8/8Plus/ X/10/ Xs Max/ XS/ XR, compatible with iOS 12 or higher. It contains a decoder chip so you don't have to worry about system upgrades. 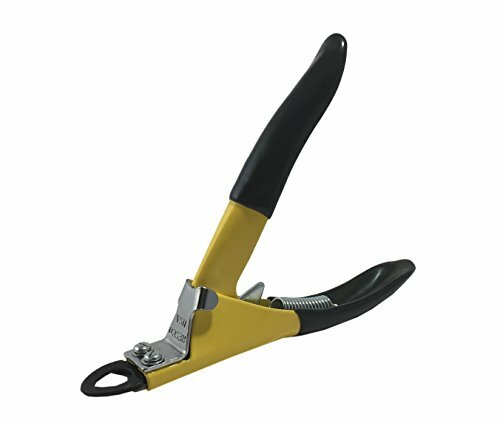 The dog nail clipper is also made of stainless steel. It can withstand years of use because of its superior blade. Many pet owners will also find this nail clippers easy to hold. The red plastic grips are comfy to hold. 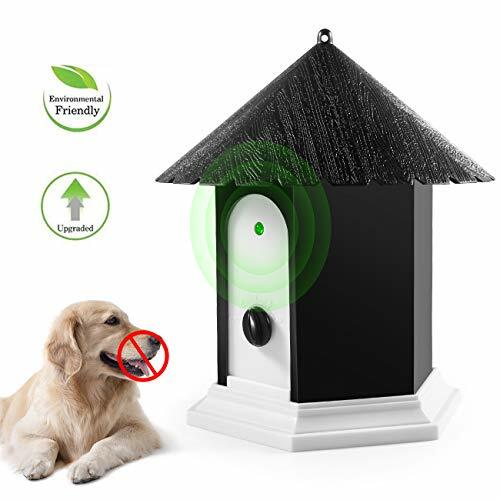 Moreover, the unit comes with a spring-loaded cutting mechanism that facilitates clean and quick dog nail trimming. You don’t have to worry about overcutting your dog’s nails. This product has a built-in guard that you can move into position to prevent accidental cutting. You can then lock the trimmers once you are done with them. 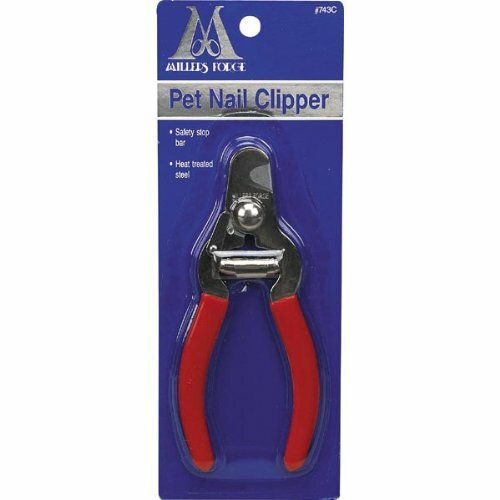 These dog nail clippers are ideal for use in all dogs except the very large breeds. This dog nail clipper is made of superior quality stainless steel. With the said material, the clippers have no troubles cutting dog nails cleanly and quickly. The safety lock feature of this product can protect your kids. They won’t be able to use it once the nail clippers are locked. The lock is located on the handle. You simply have to slide up the lock button to lock the clippers in place. This nail clippers also features an ergonomic handle. It is sturdy and should last for a long time. The manufacturer also backs up this product with a one-year warranty. Make no mistake about it--- all these are great dog nail clippers that I can recommend to any pet owner who’s serious about grooming his or her canine friend. But I would also point out that the Boshel Dog Nail Clippers and Trimmer is the best in this list. It has a good combination of user-friendly design, efficient motor and sharp blades. The safety stop blade is also a great feature.